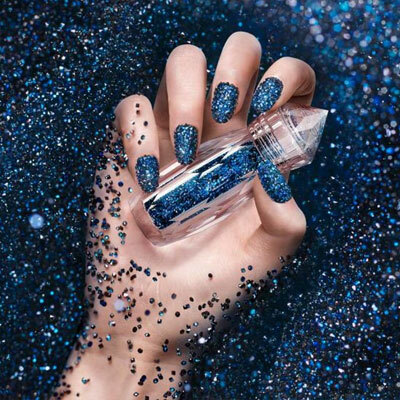 Add sparkle to your manicure or pedicure with Swarovski Crystal Pixie Edge and create a memorable impression. 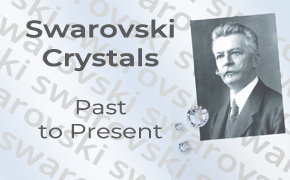 Bring Swarovski brilliance to your hands. CrystalPixie Edge can be used by itself or incorporated with Swarovski rhinestones, crystal shapes, and more to create unique designs. Let your imagination go. Application instruction below or in each package. Can be used with Regular Nail polish application or Gel Application. Different nail polish colors will revel the full effect and beauty of the crystals. The 5 Gram Bottle comes with Instruction leaflet and a funnel to easily pour unused Pixie back into the bottle. It can create approximately 25 nail designs. The EDGE is a bolder and rockier CrystalPixie. 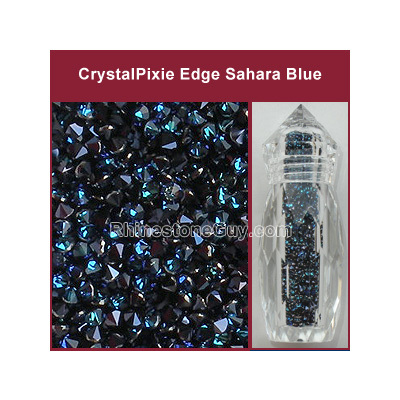 It has spikiness that differentiates Edge from other Crystalpixie™ Petite crystals. The Crystalpixie Edge features loose super sharp Crystal Ultra Fine Rocks in PP9 and Only bi-con shaped cut crystals for maximum sparkle and limitless creative expression. Unconventional and brilliantly eye-catching, the effect is a glam-punk look that truly makes a statement. Crystalpixie is perfect for application by in-salon professionals and for creating endless fun DIY looks at home.